The Sandakphu area, around 61 km from Darjeeling, witnessed this season’s second snowfall on Wednesday night, even as several areas in the Hills and Sikkim received rainfall and hailstones that blanketed those places in a thick white layer of snow and stones. The general secretary of the Singalila Land Rover Association in Sandakphu, Chandan Pradhan, said they experienced snowfall at six in the evening yesterday, but that it stopped as soon as it started. “However, we had more snowfall in the on Wednesday night, with about 2 inches of snow accumulating from Tonglu onwards. There were four vehicles of tourists at Sandakphu last night, but they returned on Thursday. 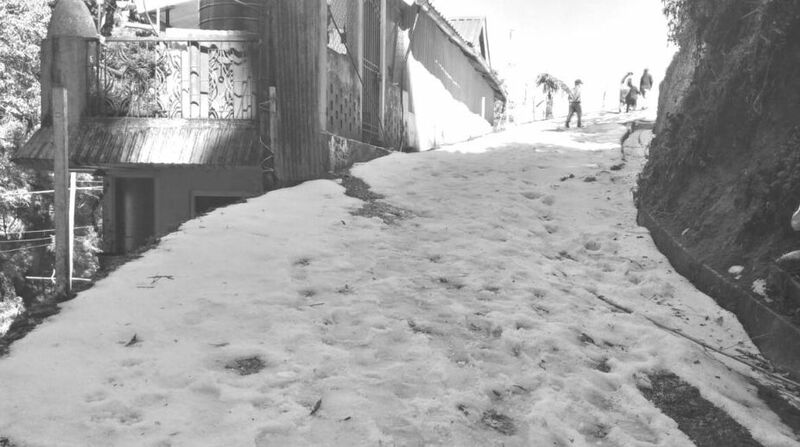 Some tourists went till Tonglu and Tumling on Thursday to see the snowfall, but by the time they reached there,the snow had already melted,” Mr Pradhan said. Owing to the rough terrain at Sandakphu, the only vehicles that ply there are old Land Rovers driven by drivers of this association. It may be mentioned here that Sandakphu area, which stands at a height of 11,600 feet, also witnessed an inch of snowfall on 24 January this year. Even though snowfall once again gave Darjeeling a miss, the town was also painted white with hailstones that fell at night. The hailstones were still there in the morning at some places, including at Lal Kothi, the headquarters of the Gorkhaland Territorial Administration. They, however, melted later in the day that witnessed a very good and clear weather. The maximum temperature recorded in Darjeeling town was 16 degrees Celsius on Thursday. 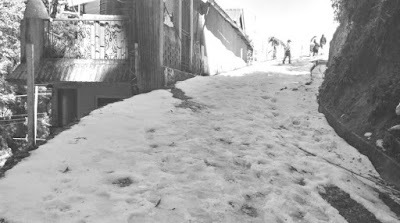 It may be mentioned here that the upper reaches of Darjeeling town had seen the last snowfall on 28 January, 2008.